RUSH: Chris Murphy. This was yesterday afternoon. This is while the story is unfolding on TV. Chris Murphy, Democrat, Connecticut, ran to the Senate floor to blame Republicans while the shooting was taking place. MURPHY: This happens nowhere else other than the United States of America. This epidemic of mass slaughter, this scourge of school shooting after school shooting. MURPHY: It only happens here not because of coincidence, not because of bad luck, but as a consequence of our inaction. We are responsible for a level of mass atrocity that happens in this country with zero parallel anywhere else. As a parent, it scares me to death that this body doesn’t take seriously the safety of my children — and it seems like a lot of parents in south Florida are gonna be asking that same question later today. RUSH: You see, folks, nobody cares about your children. You’re not capable of protecting your children, so senators have to do it. The government has to. Just like the school lunch program. Your kids were gonna starve! The Republicans were actually gonna starve your kids because you as parents didn’t have the awareness, intelligence, ability to give your kid lunch to take to school. You didn’t have that capability. If it weren’t for the federal government, your kid wouldn’t eat. And if it weren’t for the federal government, your kid is not safe. You can’t do it. And then this is CNN counterterrorism analyst Philip Mudd. This is also yesterday afternoon while this is happening. MUDD: (shouting) I have 10 nieces and nephews! We’re talking bump stocks! We’re talking about legislation. A child of God is dead! Cannot we acknowledge in this country that we can’t… We cannot accept this! I can’t do, Wolf. (sobbing) I’m sorry, I can’t do it! BLITZER: We’re gonna get back to you, but obviously this is so emotional. Unfortunately, it happens all too often, and as a result people say we gotta learn some lessons. Unfortunately, lessons are never, never learned. RUSH: Yeah, primarily by people like you, Wolf, because you keep just looping the same reaction to this. It’s not a viable solution, it isn’t gonna matter a hill of beans. We had a great caller earlier who said, if you even could do it, we’ll just play the hypothetical game. Starting today, you prevent anybody from getting a gun this day forward, the odds are the next mass shooter already has the gun that he’s gonna use, and even if he doesn’t, he’ll find a way to get one, because that’s what criminals do. In other words, this guy Nikolas Cruz, if he didn’t have a gun, I can guarantee what he would not do. He would not say, “I was gonna shoot the school up today, but now I’m not ’cause I don’t have a gun.” He’d find a way to get one, pure and simple. No matter what gun control laws you got. Anyway, Phil Mudd was able to regain his composure after the soft and compassionate condolences and treatment he got from Wolf Blitzer, and so a few minutes later after having pulled himself together, reappeared on CNN to essentially rip his country apart. MUDD: In math and sciences, if you look at countries around the world, our kids are not educated. And yet we say we’re exceptional. If you look at health statistics, whether a kid is gonna be healthy. Infant mortally, we are mediocre. Life expectancy, we are mediocre. But we can’t compare ourselves to other countries because we say we’re exceptional. The reason I raised that — in this case, we’re gonna say we’re exceptional country. If you look at other peer countries in places like Japan or Western Europe, they do not have the incidents of violence against children that we have in this country. RUSH: And that is simply an uncorroborated statement, particularly if you start comparing the United States to thug dictatorships. Anyway, just to illustrate, this is all happening while the event was unfolding yesterday. So it’s a combination of Republicans not caring and the country at large sucking. Now, this morning, Fredo Cuomo, who I just learned is a gym rat. Did you know that? Did you know Fredo is a gym rat? It kind of makes sense, when he’s not on CNN he’s in the gym doing head exercises. And he spoke out. He was angry. 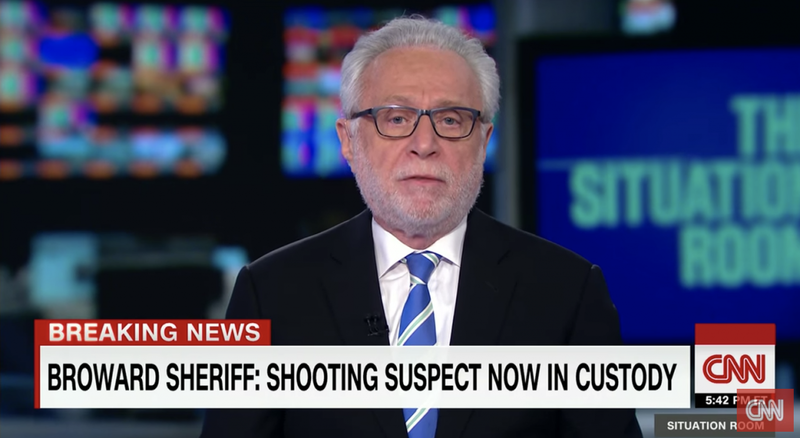 Fredo Cuomo on CNN today was livid about the Republican reaction to the shooting. CUOMO: The Republicans hide in these situations. Marco Rubio said some things that sound right politically, but they’re wrong. This isn’t an inexplicable tragedy. Prayer for victims, what kind of prayer suggests that you will do nothing? But where is he this morning? He’s on Fox. Where’s Governor Scott this morning? They’re on Fox. They’re in the mother ship. They think it’s a safe haven. They’re hiding. Don’t let ’em hide. RUSH: He did. He sounded like Mario “The Pious” there. That’s right. I think there are probably Mario “The Pious” tapes they can all — Cuomo kids listen. Anyway, Fredo says Republicans are in hiding, they go on Fox. Come out and face the world, Fredo demands. Come and appear on CNN where we’ve got — I saw the number — CNN has about 600,000 viewers when Fredo was on, and Fox has got about three and a half million. So if anybody’s hiding and is invisible, it’s Fredo and his whole network. RealClearPolitics: Former CIA Official Phil Mudd Warns Trump: "Think Again" About War With Intel Community, "We're Going To Win"